Crossroads Planning Group Inc. (CPG) helps families transition their business from one generation to the next, while encouraging family harmony. Betty Hansen CPA, CA, CAFA is the owner of CPG and is a Family Business Facilitator, with more than 25 years of accounting and financial planning background. 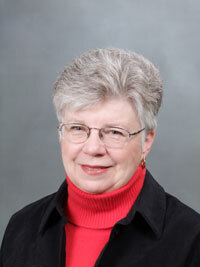 Her extensive experience in family business consulting includes strategic, retirement, succession and estate planning. Along with this, Betty establishes and conducts effective and efficient family meetings and councils to facilitate communication.